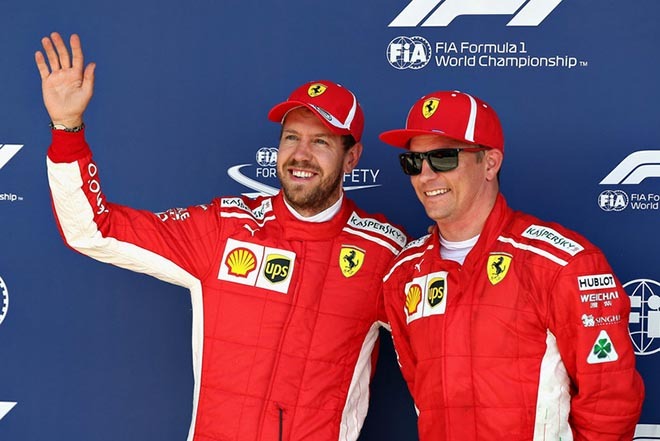 F1 Racing, Kimi Raikkonen: A Hot Heart Of "Snowman"
Do not be mistaken when thinking about Raikkonen, he can be a wise person, but very serious when it comes to racing and no lack of passion.In this article, a very different aspect of Kimi Raikkonen will be revealed. 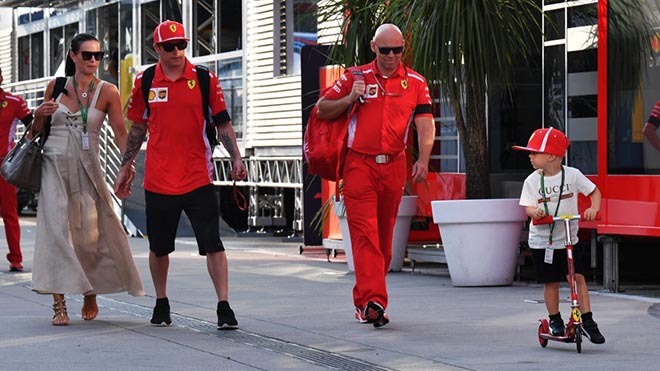 If you happen to visit Ferrari’s mobile home or garage during a race weekend last year, you’ll see a Raikkonen very close to his teammates and you can say any topic outside F1, he also showed interest and relaxed conversation. Everyone, not only in Ferrari, but also those who had worked with Kimi before, gave him a special affection. Raikkonen is a loyal person, never forgets the grace of others. Although he only worked with Leberer for the first season, he still remembered what he helped him prepare for the F1 journey and trained to be the McLaren-trained driver only 12 months later. Besides, the finnish driver is also a person of the family, which was expressed in the past year when we often see Raikkonen’s wife (Minttu) and son (Robin) appear at the the race he attended. In addition to racing time, he spent most of his time at home to play with his two children, and did not forget to share happy times and was also very lovely on social networks. Above all, although he rarely shows outside, Raikkonen always wants to win. “It is not something that is too important to me but a great thing for others. If it comes, it will come, otherwise it will not affect my life too much. I was happy because we came here trying to win. The biggest difference is the way other people look at me, I just proved that they were wrong”. Raikkonen said after winning the US GP recently. Eeckelaert added that he asked Kimi about the feeling after the first race when he finished 6th and earned points. He only answered that there are 5 cars above that need to be defeated. That’s the story 18 years agoand Kimi really hasn’t changed. After 5 consecutive seasons (all 8) and Ferrari, Raikkonen will transfer to Sauber in the next 2 years. He is currently the oldest racer in the current race and will be 41 when contracting with Sauber ends. 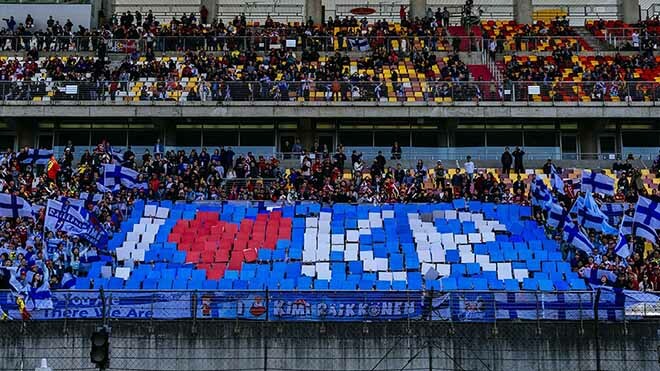 However, love for racing has never changed and Kimi’s goal will still be to get one more stand at the highest podium. If you do that with Sauber, it’s really a new fairy tale.